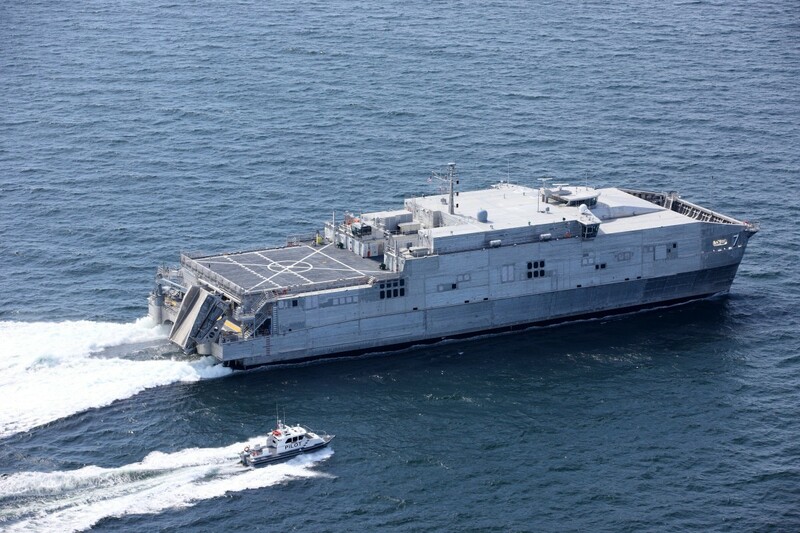 Home » Budget Industry » U.S. Plans to Expand Naval Engagements in Southeast Asia Using Littoral Combat Ships, EPFs. U.S. Plans to Expand Naval Engagements in Southeast Asia Using Littoral Combat Ships, EPFs. KUALA LUMPUR – The U.S. Navy is planning to enhance naval engagement with nations across South and Southeast Asia next year, Rear Adm. Don Gabrielson, the commander Logistics Group Western Pacific/Task Force 73, told USNI on Tuesday. The command intends to build upon on this year’s successful engagements, which were carried out by the Littoral Combat Ship USS Coronado (LCS-4) and the Expeditionary Fast Transports (EPF) USNS Millinocket (EPF-3), USNS Fall River (EPF-4) and USNS Brunswick (EPF-6). The new engagements will be paired with a more flexible framework that allows the U.S. Navy to develop opportunities for training with regional navies on shorter notice. The engagements are intended to complement the long-standing exercises already ongoing under a scheduled and formal planning cycle. “We benefit greatly from year-long planning engagements with our partners in exercises like CARAT and SEACAT (Southeast Asia Cooperation and Training),” Gabrielson said. Gabrielson said that the countries involved will be announced later and these regional engagements will largely involve the use of the LCSs and EPFs, whose size and shallow drafts enable them to operate in most of the littoral waters in the region and visit many shallow water port and naval facilities prevalent across South and Southeast Asia. In addition, with the routine presence of LCS and EPF in the region, these ships are fostering relevant cooperation and training opportunities with partner nations, particularly the smaller littoral navies. This is in contrast to destroyers or cruisers, which are challenged by limited accessibility and whose skill sets and capabilities can be sometimes too high-end for littoral navies focusing on maritime security and preventing terrorism and piracy at sea. “We’re using the LCSs and EPFs, both individually and together, to conduct these engagements because they are the right-sized platforms and frankly they bring the right kind of skills for many navies to take on the challenges that they are dealing with,” said Gabrielson, adding that LCS and EPFs have access to over a thousand port locations in the littoral regions of South and Southeast Asia while larger ships like destroyers only have access to about a dozen locations. Among the key aspects of this has been the increased operational availability of Coronado in contrast to the previous deployments of USS Freedom (LCS-1) and USS Fort Worth (LCS-3). 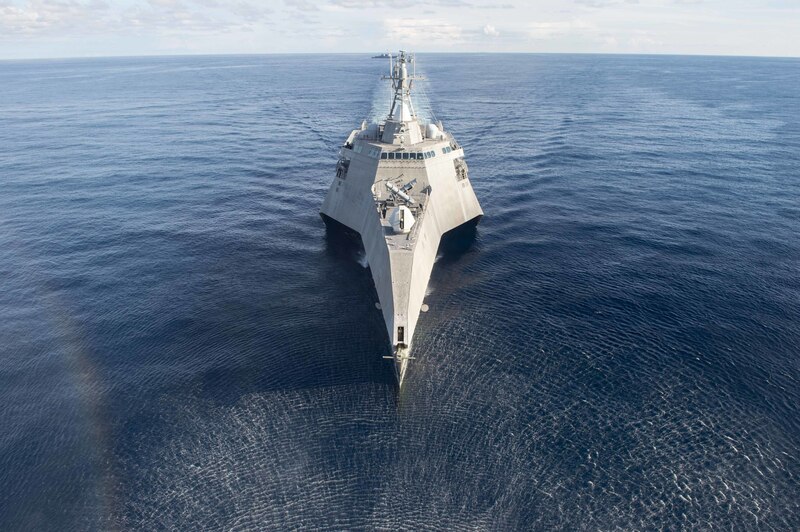 Gabrielson stated that this higher operational availability was due to efficiencies and lessons learned during LCS deployments to the region, which resulted in the reduction of the average maintenance correction time from 15 days to 4 days. At the same time, Coronado’s operational availability was also increased due to the ability to conduct maintenance and work on the ship wherever it was deployed. “We were able to perform expeditionary maintenance availabilities in Vietnam, Malaysia, and Guam where we actually loaded equipment, in some cases on an EPF and in other cases we flew it there,” Gabrielson said. Gabrielson summed up that the primary conclusion from the rotational deployment of Coronado is that the Navy is ready to support more LCS and EPF to operate in the region and enhance partnerships and training opportunities with regional navies.